We are now less than 48 away from the start of the 2013/2014 Sky Bet Championship Season and the first with a whole new outlook for Leeds United, a team which has undergone various major off-pitch changes since the start of last season. The start of the new season is the first opener for new owners GFH Capital and I am sure their arses are twitching as much as the fans’ are. It’s fair to say that Leeds United fans have been a little disillusioned under the hand of Ken Bates over the years. Bates has always promised big things but never delivered. He blindsided the fans and brought about mass pessimism throughout Elland Road. But following the recent news that not only had The Bearded One been ousted as Chairman, but locked away firmly in Monaco by not even being allowed to be President anymore, all of a sudden, fans think the future is bright. GFH have even reconvened with the fans, meeting up with the Leeds United Supporters Trust this week, looking to make sure that everyone is on the same page. On the pitch, a couple of summer signings have change the landscape a little too. Three in and one out is the movement. The out is Steve Morison, shipped off to Millwall on loan for Ye season. This isn’t a massive loss to the team. He never worked and although he had big boots to fill after Becchio left, he never lived up to expectations. Luke Murphy comes in from Crewe. He’s the type of midfield man we need with the ability to hold play up whilst controlling the midfield. Noel Hunt from Reading was another buy. He’s a bit of a dynamo and a hard worker and I think he’ll put up plenty of fight for the ball and potentially could bet a few goals. Is he a massive goal scorer? I don’t think so, but it’s something to build on for sure. Matt Smith is the third signing. He comes to us from Oldham and boasts plenty of height and will definitely be an aerial threat. But this brings about where I am in terms of where the team needs strength. We need wingers. We need a couple of solid wingers with a good cross in them to get the ball in to Smith’s head for the goals, but we’re lacking that. When Byram is back to full strength, I think we are not too far away at the back and up front, but I just find the whole of the midfield all the way across the park is lacking. 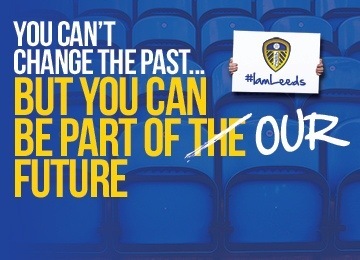 But come Saturday, over 30,000 fans will pack Elland Road and hopefully get the season off to a winning start! This entry was posted in 2013, 365, Leeds United and tagged 2013/2014 Season, Football, leeds united, Sky Bet Championship. Bookmark the permalink.